Search engine optimization and content go together like peanut butter and jelly. The main point is, SEO and content are each powerful on their own. But, once you mash them together, you get a much, much more effective result. When I teach content strategy to my students and team members, I use the metaphor of thinking of your content like a house. 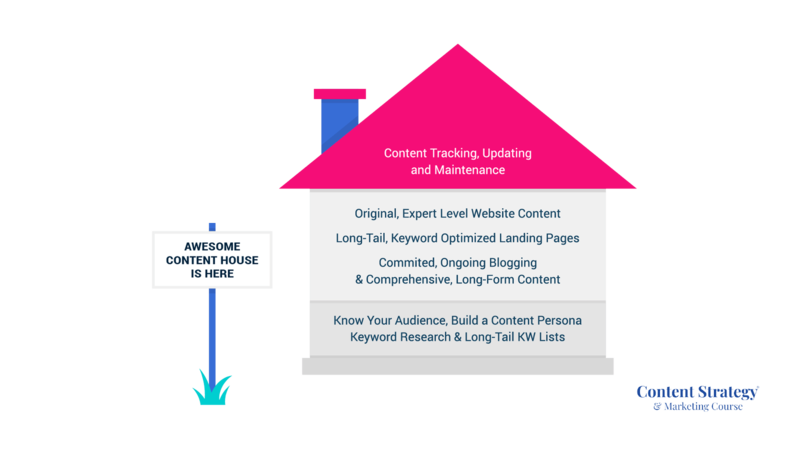 Your content “house” should be built on a solid foundation of strategy, with walls made of expertise, smart SEO keywords, long-form content, and a consistent posting schedule. SEO should be embedded in every part of your content house. It helps make it strong, sturdy, and solid, not to mention plottable online. Without SEO, your content house would be sitting in a remote valley in a far-off place, miles from civilization. 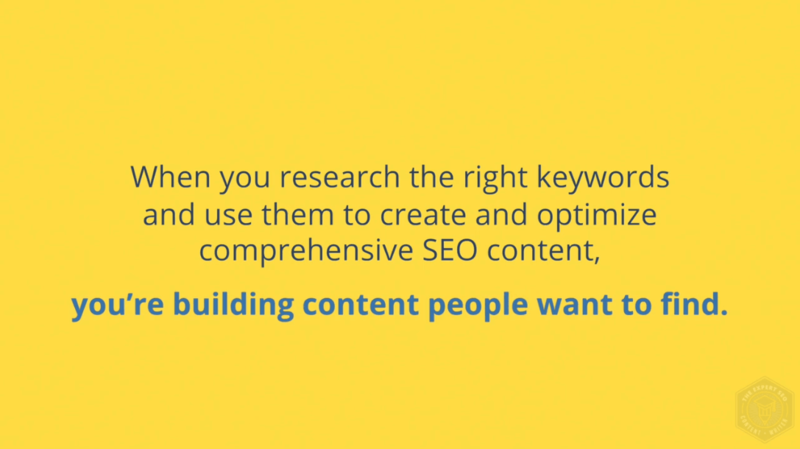 With content + SEO, the right people can find you. The right people can read the amazing, expert content you created FOR them. What About Your Audience? What Does SEO Content Do for Them? So, we know SEO content makes your overall content strategy super-powered. But what does SEO content do for your audience? In today’s marketing, authenticity matters. And, as you know, that trust is worth its weight in gold. According to Content Marketing Institute’s 2019 B2B Benchmarks, Budgets, and Trends Report, that trust symbolizes a bond, and that bond signifies a buying relationship. In fact, 96% of the most successful B2Bs say their audiences trust them. The way to build that trust? High-quality, expert, consistent, usable, valuable content. You’ve heard the adage “Information is power.” Well, that applies to content, too. When your audience comes to Google with a question, they have an information need they’re looking to fill. Filling that knowledge gap is your biggest way to offer them value without asking for much of anything in return. 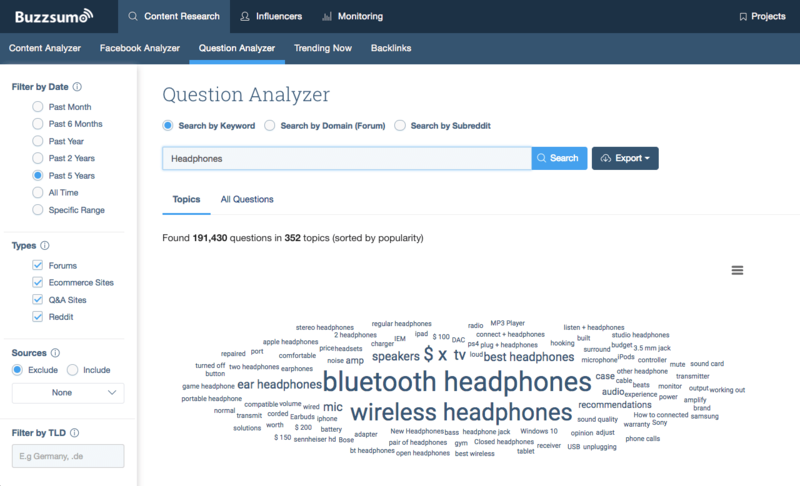 Try the BuzzSumo Question Analyzer to see the questions your audience is asking. With any piece of content you create, you’re essentially in conversation with your audience and customers. If you’re forthright, real, honest, and transparent, and if you give them the information they need consistently over time, eventually that snowballs. As with any friendship or mentorship, the bond grows over time. Your audience will start looking to you as an expert resource. They’ll faithfully read your advice, tips, and guidance. They’ll feel a bond with you and your brand because you took the time to provide real answers to their quandaries without trying to sell them on something. And, as you know, loyal audience members are more likely to pull the trigger on actions that profit you (shares, sign-ups, and sales). That’s exactly what you want. But, how do you create content that effortlessly and naturally builds that bond? Write a blog without these important elements, and it will not get the results you want. Your content needs to be crafted strategically, with a focus on the user, to equal a return on investment. So, you’re ready to write an SEO blog that builds trust, rankings, and ROI. Hold up one minute. What are you going to write about? Your content topic should fall under your area of expertise – that is, the industry niche you call home, which you know inside-out. If you can’t write about a topic with authority, insight, and command, it’s not yours to claim. This ties into something I call your Content Differentiation Factor or CDF – that thing that separates you from the rest of the web. Your expertise is uniquely yours, but what makes you stand out is how you present that knowledge to the world – your particular angle. 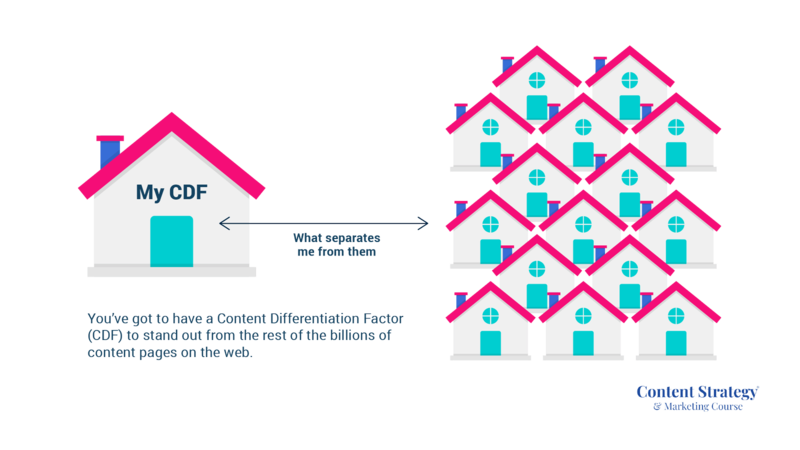 Understand both your CDF and your topic area, and stay inside your wheelhouse to keep your content powerful. Here’s an example I use all the time when teaching this concept in my content strategy course. Think of your expertise as the center of the circle you’re going to focus on in your online content: next, think of all the topics your reader wants to know that stem from your expertise. For example, if you’re selling running shoes, your topics of interest for readers could be health and running apps for an iPhone or Android device; ways to train if you’re a runner; an article on knee health; etc. Keyword optimization is one of the core pieces of a powerful SEO blog. However, not just any keywords will do. You need the right keywords, ones for which your audience niche is already searching. That way, you’ll create content that people want to find. This year, I developed a short, intensive SEO writing course just to address this topic. 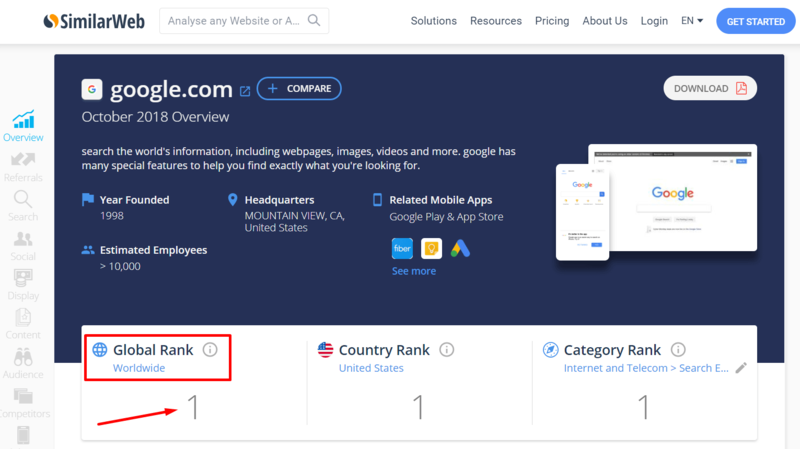 If a brand can get their keyword optimization down and blend that into great content creation, the sky is seriously the limit to organic ranking and traffic success. If the keyword isn’t relevant, scrap it. If it is too broad or too difficult to rank for without serious clout behind your domain, scrap it. If the keyword does not map to your buyer’s journey, let it go. Don’t waste time and effort on the wrong keywords! 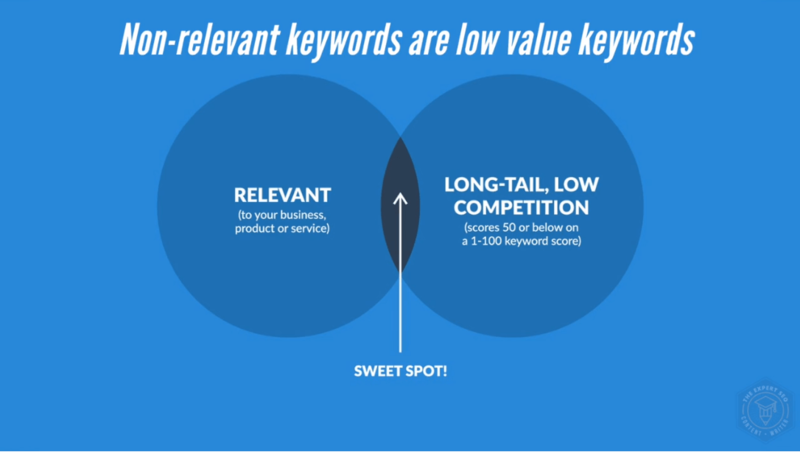 Now that you have the right keywords, where do you put them in your content and blogs? Once you have a handle on your audience, you need to keep them in front of you as you create content. They should come first, no matter what. A big part of this is topic research. Without it, you’ll be shooting in the dark, and you’ll miss the mark on what your audience wants to read about. One of my #1 tools for topic research is BuzzSumo’s Content Analyzer. It’s robust and provides a ton of meaty information if you know how to use it. For example, to find relevant industry topics, start by searching your main industry keyword under “Analysis”. 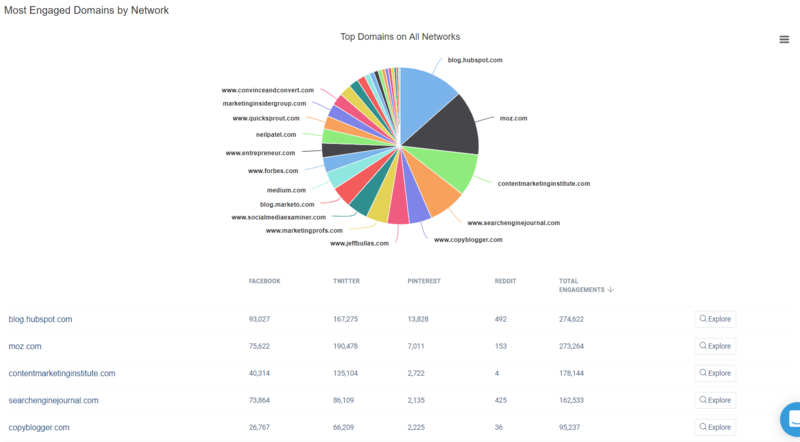 This section has tons of great data, but we’re going to scroll down the page to the “Most Engaged Domains by Network” section. 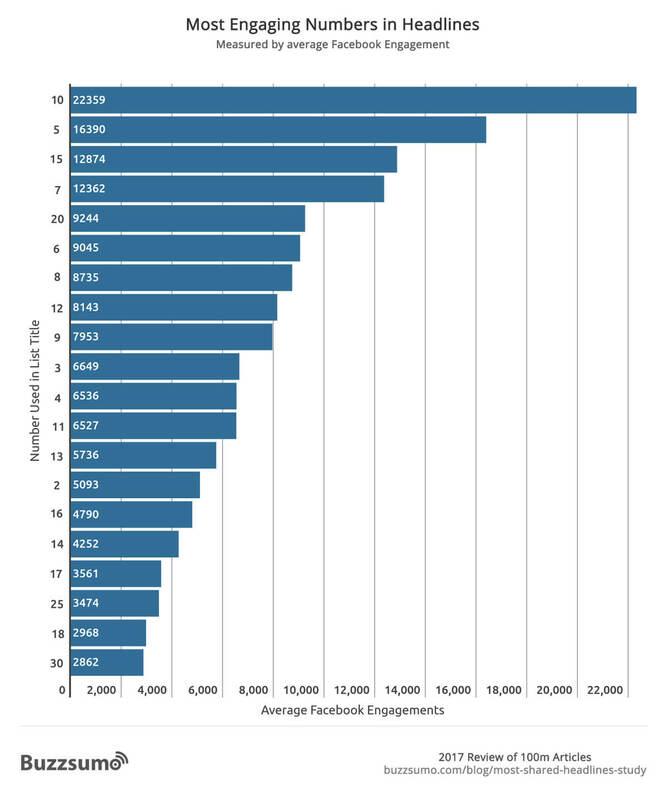 This shows us which domains have the most engaging content under this topic. We can pick a site from this list and search the URL to find its most-shared pieces, which will give us inspiration for creating content topics for our own audience. For instance, I’m going to choose the top domain on the list, blog.hubspot.com, and search for their top posts within the last year. I’ll also narrow down the content type to see only their top-performing “how-to” articles. The list has lots of great topics. However, remember: NEVER copy content with this research technique. You’re just looking for inspiration. Once you find a promising content topic, look for ways you can add to the conversation, cover a different angle or facet, or approach it from your perspective. The way your content begins has a direct impact on how it ends. It all starts with the headline (or H1). When your readers come across your content in search, they’ll read your headline and make a decision in a split second whether or not to click. If they choose NOT to click, your content ends right there. You didn’t reach your reader. If they DO click, scan the first paragraph, and click away, your content ends there, too. You failed to live up to the promise of your headline. Bam. 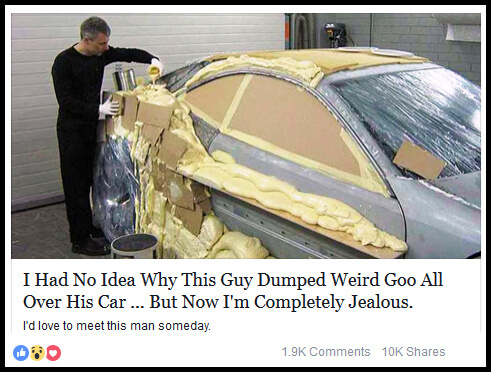 That’s content that totally fulfilled the headline’s promise. Be honest. Describe what your content piece is about or has in store, nothing more. Don’t write a headline filled with shock, surprise, or another emotion if they’re not present in your content. That’s called clickbait. Seek to tell your reader what your content piece is about in the most engaging way possible. Use colorful adjectives and verbs. Open up that dusty thesaurus and find the language that jumps out at you. Pay attention to headline research studies and use what has worked before (no need to reinvent the wheel). This study found that the most engaging headlines often included a number, especially ones like 10, 5, 15, and 7. Use headline analyzers to construct phrases with more power and punch. I often recommend Advanced Marketing Institute’s Headline Analyzer. Powerful SEO content includes the right keywords, an engaging yet honest headline, a topic you know will win with your audience, and an angle that directly ties into your expertise. With these keys, you will build content that earns trust and rankings. There’s one missing piece, however. For content that brings in ROI, you need to tie in at least one CTA. Your call-to-action, when done right, leverages the trust you built with the reader. If you ask for too much, they won’t want to act – they may even feel vaguely uncomfortable, and may lose some trust in you. Keep your ask relevant to your blog topic. Keep it helpful and useful for readers. Tell them how they will benefit if they follow the called-for action. Fit it into your text seamlessly, whether it’s a clickable image or a one-line CTA. Don’t neglect even this seemingly tiny element. It can often make or break the tangible ROI for your content pieces. As you can see, each piece of your content adds up to winning trust, winning rankings, and winning readers overall. And, for each of these facets, you need to have the skills to hone them to a sharp edge. Writing blogs and creating content is NOT as simple as sitting down and typing some words. You need major research skills, copywriting chops, an analytical mindset, knowledge about which tools to use, and a deep understanding of keywords and how they relate to buyers. It’s a lot. But, there’s help if you need it. If you want in-depth training on this topic, quick headsup: my Expert SEO Content Writer Course is reopening for student enrollment this December, 2018! Get on the waitlist and learn how to build powerful, incredible content.